We always prefer to see patients for evaluation prior to initiation of treatment. 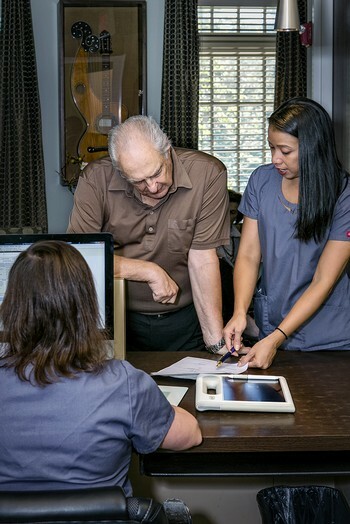 This allows us to spend the time with each individual patient to make a proper diagnosis, and to discuss all treatment options risks and benefits. We can also properly schedule the appropriate amount of time for each patient's unique situation allowing us to be more respectful to our patient's time. The fee for the consultation is credited back to patient for treatment if it is initiated within 30 days of the consultation. We will always do the best we can to answer any and all questions and concerns you may have at the time of your appointment. Should you have any additional concerns after you have left the office, please do not hesitate to call or email the office directly. 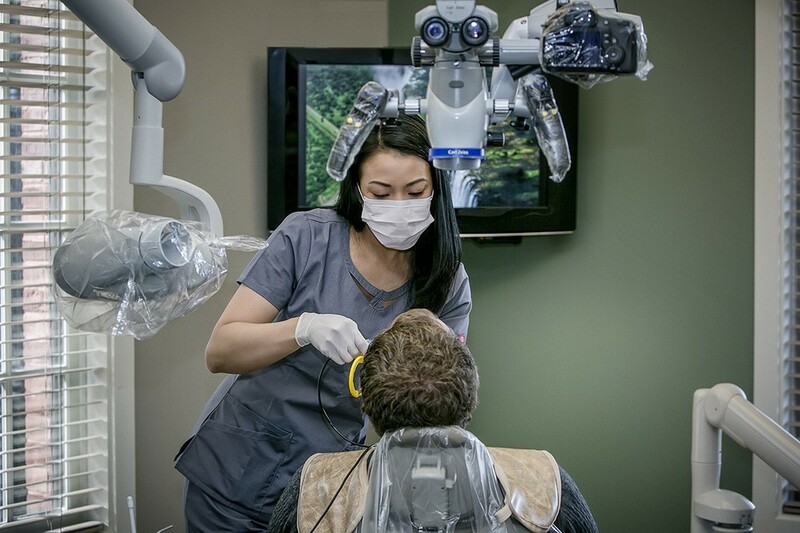 Our office respects your privacy, as well as strongly believing in clear and detailed communication with the patient and their general dentist and dental specialists. As such, will ask for you to sign a HIPAA release form in order for us to communicate with your referring Dentist, and/or any additional Specialists engaged in your care. Should you wish for us to communicate with any additional family member(s), please let us know. We strive on a daily basis to achieve the most effective communication through our HIPAA compliant software. We offer patient registration via the web to eliminate in-office wait times. The advanced technology incorporated in our office allows us to email follow up reports to your general dentist eliminating any delays or miscommunication; however, this also requires a HIPAA release form, as mandated by Federal law. Unfortunately, we do not participate directly with any insurance company. The fees for a consultation and/or treatment are due on the day of service. As a courtesy, for those patients who have insurance, we will be happy to file a claim with your carrier. For us to efficiently file your claim, please bring bring the policyholder's information as well as your insurance company’s information. For your convenience, we take American Express,Visa, MasterCard, Discover and Personal Checks with verification. Our practice also offers financial assistance with CareCredit. CareCredit applications are easy to fill out, and can be accessed online or once you are in our office. If the cost of your cumulative Dental treatment is not financially feasible at this time, please discuss your options with any team member. We also understand that emergencies can affect your schedule too, kindly give us a 24 Hour Notice to cancel your scheduled appointment. If you fail to cancel within this time frame, our office may be unable to reschedule your appointment, or accommodate future scheduling requests.